Data science podcasts seem to have exploded in popularity overnight. They manage to fit perfectly into our busy lifestyles. They are both informative and entertaining. Plus, you can listen to them anytime, anywhere. We can say that podcasts are undeniably a fantastic source of updates for every aspiring professional in the field. But where can you find the topics most relevant to your interests? Don’t worry. 365 Data Science is here to help you with that. In this article, we will review the top 15 Data Science Podcasts worth listening to, according to our research. Those are sure to keep you in the loop about the latest data science developments and trends. Why? Because data science is a constantly expanding field. For this reason, there is a growing number of experts who use blogs and podcasts to share their thoughts on topics ranging from Machine Learning to data optimization. So, we’ll review the resources and make it easier for you to take your pick. Brief information about the hosts. Note: Our top picks are not arranged by ranking. So, rather than looking for the most popular podcast out there, use the list below to find the ones that match your interests. 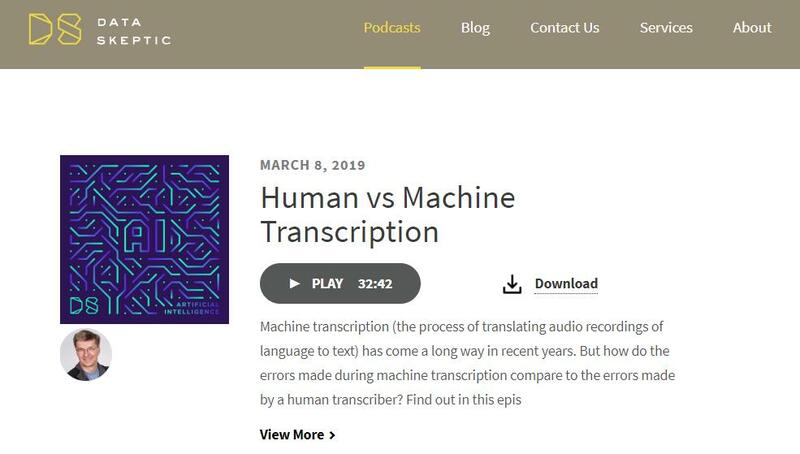 Featured topics: Linear Digressions is a good-humored podcast devoted to Machine Learning and Data Science. After their signature greeting: “Hey, Katie”, “Hey, Jeff”, the hosts delve into friendly discussions of big topics. They often cover AI, Machine Learning, Deep Learning, convex and non-convex optimization, and data engineering. Although the podcast doesn’t feature any guests, it includes useful relevant links that provide extra information for each topic. Hosts: Ben Jaffe – an UI Engineer who spent many years as a front-end web developer and Caitlin (Katie) Malone, Ph.D. in Experimental Particle Physics at Stanford University and Director of Data Science Research and Development at Civis Analytics. Featured topics: If you are into data engineering and want to keep track of the trends around big data, this podcast is for you. Outspoken Kretz doesn’t shy away from giving his honest opinion. Furthermore, he examines various tools and techniques used in Data Engineering. Super helpful for data scientists who are just getting started. By the way, you can learn more about traditional and big data in our article Techniques for Processing Traditional and Big data. Host: Andreas Kretz – a Data Engineer and Big Data professional. His data science platforms process and analyze immense amounts of data on a daily basis. Featured topics: The Data Skeptic podcast features long-form interviews with the best experts in the field. Their discussions provide insights into all things data science. The host is truly devoted to applying critical thinking and exploring the plausibility of claims. On top of that, the show has hands down the cutest mascot in data science – a parrot called Yoshi who also happens to be the focus of numerous mini-discussions. Regardless of your background, you will find plenty of accessible knowledge. You will learn a whole lot about data mining, algorithms and search engines. Furthermore, you will discover plenty about retrieavals, forcasting, regression, image recognition, natural language processing, game theory, and so much more. 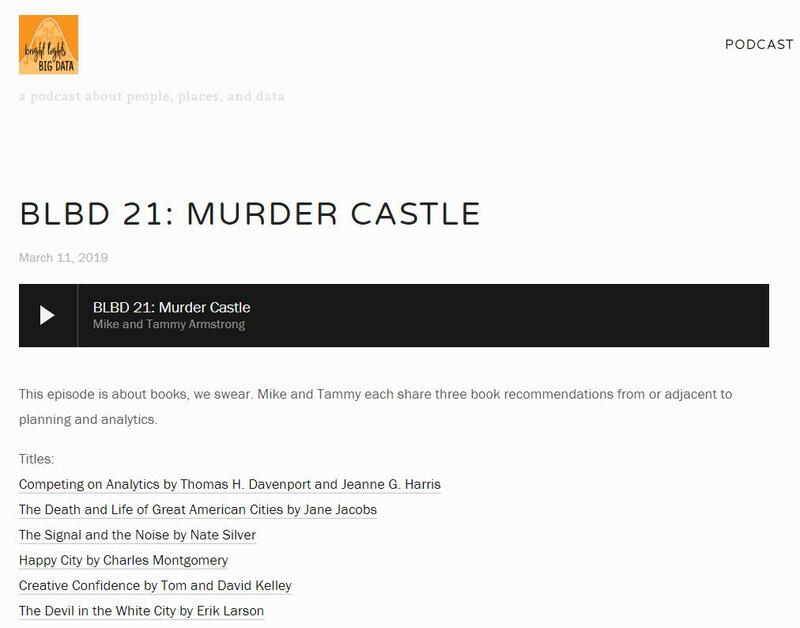 Each podcast episode includes show notes, data files, plots or short amounts of code you can access on a public GitHub page. Episode length: Most interviews last around 30 minutes. However, if you are new to data science, opt for the 15-minute mini-episodes first. Hosts: Kyle Polich – a computer scientist with a truly wide scope of interests. They range from AI, machine learning, and statistics to data provenance, data governance, econometrics, and metrology. Linh Da Tran co-hosts the mini-episodes. The latter will be really beneficial for you, in case you don’t have any data science background. Furthermore, if you are passionate about statistics, make sure you check out our Statistics Tutorials. It’s totally worth it. Featured Topics: Talking Machines lifts the curtain on machine learning, computer science, and deep learning. Every two weeks, the hosts lead you through diverse insightful conversations with experts in the field. You can also find discussions about plenty of industry news. Moreover, the podcast provides helpful answers to listeners’ questions about internships vs salaried positions, the update to the ACM code of ethics, the next AI winter and if/when it is coming, and more. Hosts: Katherine Gorman – a former public radio producer and Neil Lawrence. The latter leads Amazon Research Cambridge, where he is a Director of Machine Learning. 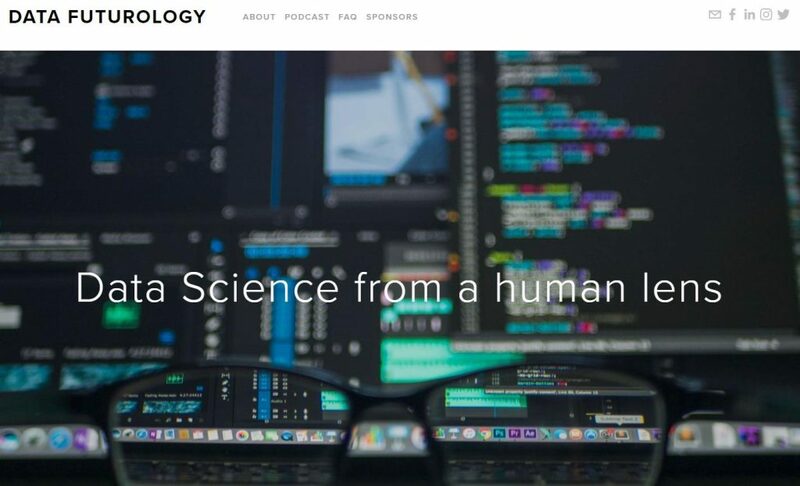 Featured topics: This is an excellent podcast for those of you who want to dig deeper into data science. The episodes will help you explore the opportunities and techniques driving big data, data science, and AI. Interviews with distinguished CEOs and co-founders will keep you up-to-speed with the trends in data, machine learning, AI, deep neural networks, large-scale computation, natural language processing, and the like. Host: Ben Lorica – the Chief Data Scientist at O’Reilly Media, Inc. He is also a Program Director of both the Strata Data Conference and the Artificial Intelligence Conference. Featured topics: Not So Standard Deviations is my personal favorite. Co-host Hilary Parker’s entertaining comments about her barely being a data scientist clearly show that data people are far from taking themselves seriously all the time. The podcast brings you the latest in data science and data analysis in academia and industry. Podcast topics include the distinction between what data analysis is and what data analysts do, the connection between business intelligence analysts and data scientists, and quality in data analysis . You can find reviews of data science books and information about upcoming events. Co-host Hilary shares her secret trick for data analysis, what computer to buy, and how to get into data science. Hosts: Roger Peng – a Professor in the Department of Biostatistics at the Johns Hopkins Bloomberg School of Public Health. He is also the author of the book R Programming for Data Science. Peng’s charming co-host is Data Scientist Hilary Parker of Stitch Fix. Featured topics: If you’re looking for engaging storytelling on top of your data visualization updates, you will definitely enjoy this podcast. Data Stories is a cool source for data visualization insights. Guests on the show discuss a wide variety of intriguing subjects, such as the general role of data in our lives, xenographics, and what makes a visualization memorable. In addition, you will find out more about machine learning for artists, touch graphics, data sculptures, indexical visualization, and data visualization literacy. Hosts: Enrico Bertini- an acclaimed researcher in the field of data visualization with a background in Computer Science. Bertini lives in New York and, in his own words, is working hard on keeping his Italian accent. His co-host is Moritz Stefaner – an independent data visualization designer and a fan of horses, bees and trips around the globe. Featured topics: Here’s a podcast that aims to make machine learning and AI effortless for everyone. You can learn a lot about reproducible machine learning pipelines, the predictive power of metadata, deep learning and image compression, predicting the weather with deep learning, and even the host’s take on the reasons to aggregate data for precision medicine and the consequences of such strategies. Plus, if you are a fan of smooth jazz, you’re going to appreciate the background music in the first episodes. Host: Francesco Gadaleta, Ph.D. He’s an AI architect and Computer Science researcher. 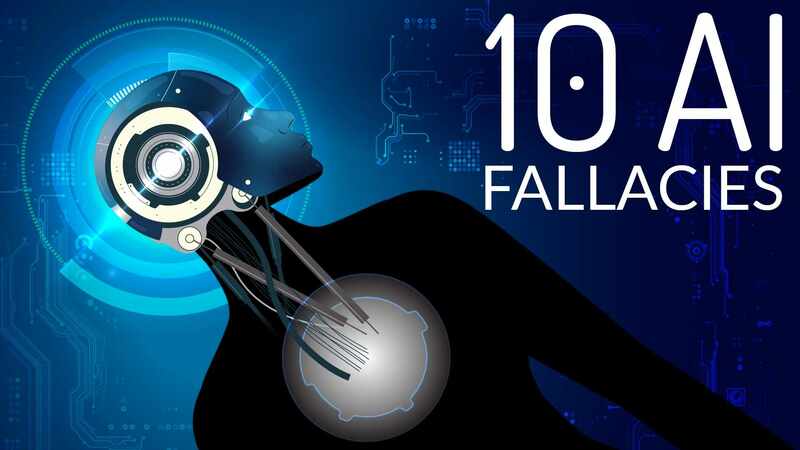 Featured Topics: This Data Science Podcast examines questions like how do AI devices work, and how can we make them even smarter and more human-like. 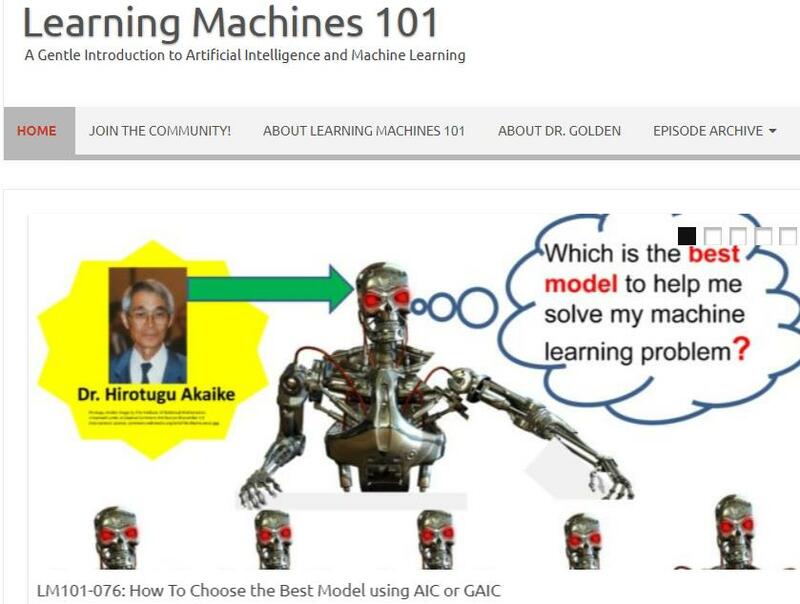 Richard Golden teaches you how to build a machine that learns to play checkers and how to transform a Supervised Learning Machine into a Value Function Reinforcement Learning Machine. Featured Topics: Dave and Matt feature guests who share insights about the best practices for getting value out of data for organizations. The podcast also includes discussions about the improvement of higher education through data, the importance of data storytelling, and much more. 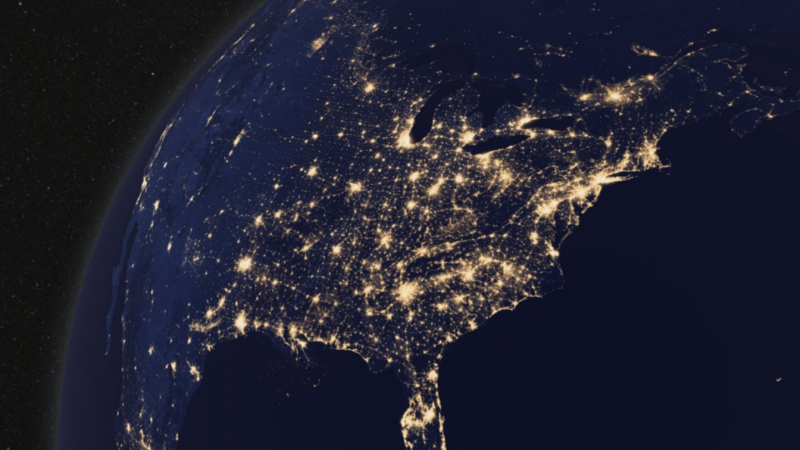 Featured topics: Bright Lights Big Data gives you the chance to learn pretty fascinating stuff about statistical uncertainty and weather forecasts correlation. You will receive useful book recommendations and discover the latest on big data, smart cities, machine learning, and equity. Host: Urban planner Mike Armstrong and data scientist Tammy Armstrong. Featured topics: Though updates are far from regular, you should definitely take a listen at this podcast. You can count on staying up-to-date with award-winning data science projects and data science recruitment tips shared by the podcast’s data scientist guests. 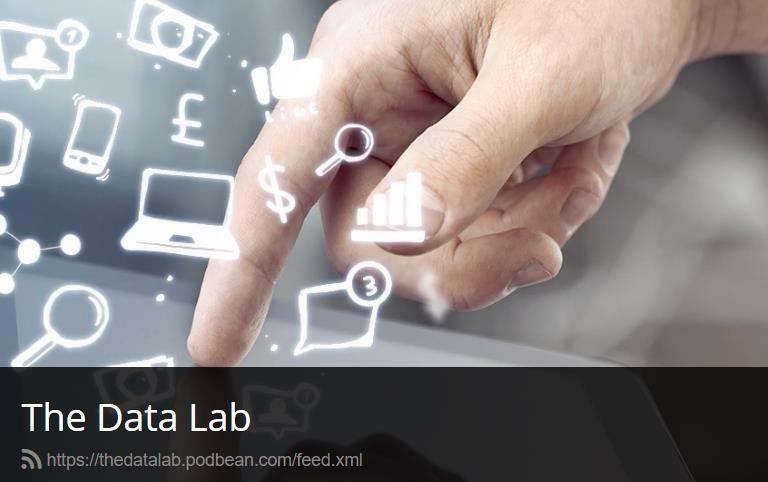 Host: The Data Lab team, the national innovation center for data and AI in Scotland. 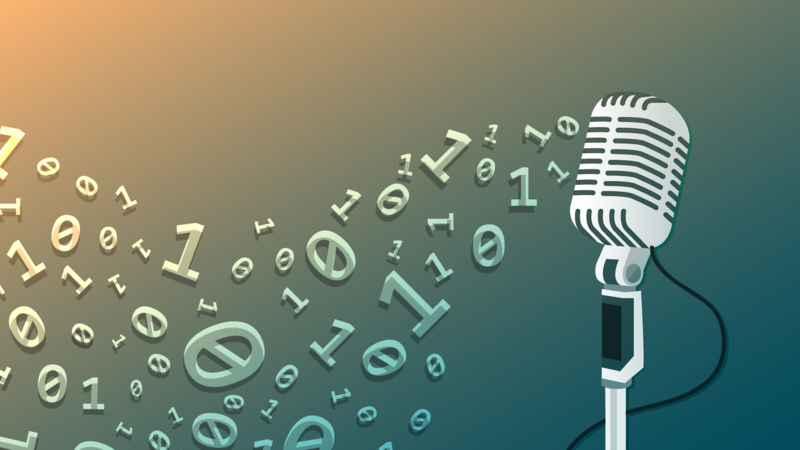 Featured Topics: If you need fresh outlook on the realm of data science and analytics, you might want to stop by and listen to this podcast. It covers multiple topics on the current outlook of analytics and data science. Professionals and academics in the field discuss talents and skills, organizational structures, and tool advancements related to data science and analytics. You can also stumble on advice on how to effectively communicate analytics results, frame business problems for analytics, and organize and develop successful data science functions. 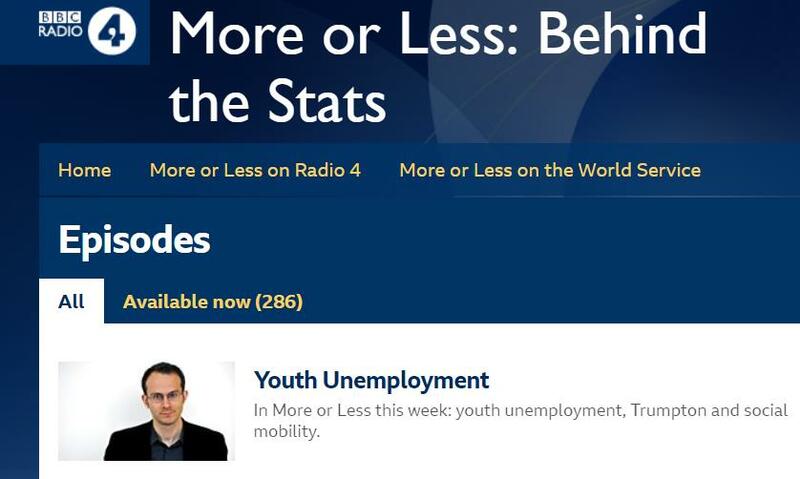 Host: Tim Hartford – a renowned economist, journalist, and broadcaster. He’s also the author of “Fifty Things That Made the Modern Economy”, “Messy”, and the million-selling “The Undercover Economist”. Topics: Those of you who live and breathe statistical data will find what they are looking for in Tim Hartford’s podcast. It presents a broad range of subjects, including economics, politics, business, and health care and the all the hidden statistical truths behind them. That sums up our list of 15 Data Science Podcast. We hope our selection will prove useful to you on your way to becoming an expert data scientist. However, just keeping up-to-date with the trends is not enough to get you started on your successful career path as a data scientist. Qualifications, background, and experience are of paramount importance. So, take a page out of the data scientist’s book and take a look at what the data tells us you need to become a data scientist in 2019. Then, if you’re still hungry for weekly data science updates, browse our top 51 data science blogs list for more inspiration.